For 20 years, Susan has used innovation and creativity to build brands with work internally awarded online and off. She has loved working at great creative shops, including Mad Dogs & Englishmen, TBWA/Chiat/Day, Fallon, and Leo Burnett and currently as ECD at FCB in Chicago. 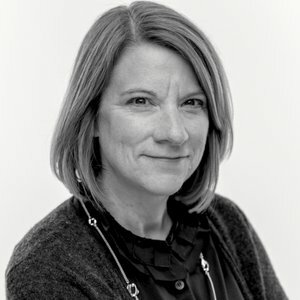 Her work has tackled complicated problems on big global brands including adidas, P&G, Citi, BMW and Kellogg’s as well as build advocacy for creative brands like Levi’s, Fox Sports, Kashi, and Nordstrom. She has won awards for film, print, digital and activations at Cannes, One Show, D&AD, ADC and the Andys. As a leader in the creative industry, she has judged the One Show twice, ADC, Radio Mercury Awards and Young Guns, taught at Miami Ad School and served on the board of the Creative Circus.